Five races will be held in Dec. 9 sailing event held in northern San Diego County. OCEANSIDE — Oceanside Yacht Club will host Poinsettia Regatta, a Sabot sailboat race at San Diego County’s northernmost harbor, Dec. 9. 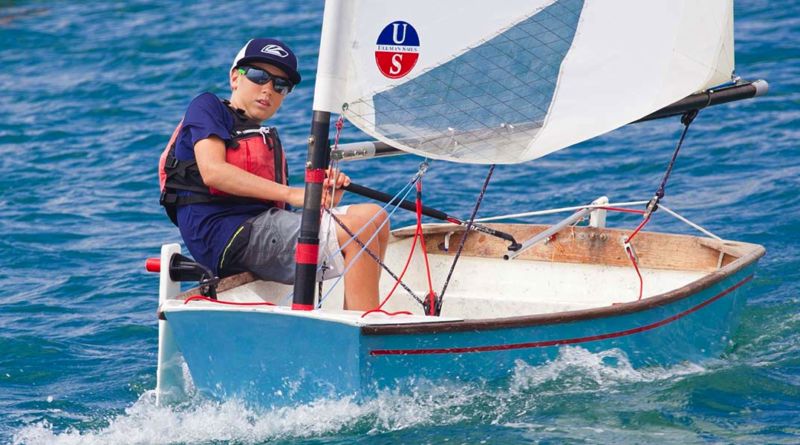 The open regatta does not require any of its participants to have a yacht club affiliation. Poinsettia Regatta will feature five races throughout the day, with the first warning signal at 11:57 a.m. (first start at noon); no races will start after 3 p.m. Entry is $20 for Oceanside YC members and $25 for everyone else; a $1 discount will be offered for current U.S. Sailing Association members. All participants must wear a personal flotation device (PFD) while sailing and will compete in either the junior or senior Sabot fleet. A low point scoring system will be used to determine the regatta’s winner; results and trophy winners will be announced at Oceanside YC at the conclusion of all races. Races will take place in the Outer Harbor or Inner Harbor, depending upon weather conditions. Course charts will be available at the skippers meeting. Registration will be held from 9:30-10 a.m.; forms are available at the Oceanside YC office and just before the skippers meeting (which starts at 10:30 a.m.). The Poinsettia Regatta marks Oceanside YC’s second-to-last sailing event of 2017; the yacht club will host the Holiday Regatta for PHRF entries, Dec. 16.